Bill Parcells also known as The Big Tuna, is a former American football coach, best known as a head coach in the National Football League (NFL) for 19 seasons. He rose to prominence as the head coach of the New York Giants, whom he led to two Super Bowl titles. 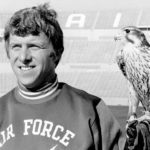 Parcells later served as the head coach of the New England Patriots, New York Jets, and Dallas Cowboys. Throughout his career, he coached teams that were in a period of decline and turned them into postseason contenders. He is the only coach in NFL history to lead four different teams to the playoffs and three different teams to a conference championship game. "Something goes wrong, I yell at them -“Fix it”- whether it’s their fault or not. You can only really yell at the players you trust." "Well, I’ve had a long standing relationship with Gatorade and they’ve been very, very good to me. And I believe in their products, I really do. I’ve used them for many, many years." "So if the players trust the coach, it’s not a problem. If the players don’t trust the coach, it is a problem, and vice versa." "I just try to do the best job I possibly can – put the blinders on, go to work and be the best you can possibly be. Once you have done everything that you possibly can – you’ve put forth your greatest effort – then I can live with whatever’s next." "Success is never final, but failure can be." "If the players don’t trust the coach, it is a problem, and vice versa." "I’m not really in the excuse business." "If I have affected someone in a positive way, that means a lot to me." "If you have fun, fine. It’s not all life and death." "The thing I really look for in this business is there are guys who are into football and there are guys who are in the profession for other reasons."